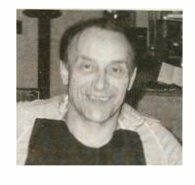 Paul Eugene Roberge passed away suddenly on Sunday, May 13, 2007 at the Cowichan District Hospital. Born on February 12, 1935 in Bowsman, Manitoba. Predeceased by his parents Jack and Emma and his daughter Elizabeth in 2002. Lovingly remembered by his family, wife Martha, son Tim, brothers Maurice (Dorothy), Winston (Maureen), Ted, and Colin: grandchildren Brandon and Jade Lester as well as numerous other relatives and friends. Paul apprenticed under Clayton Wright in 1959. Paul worked for Wright's Jewelers until the early 1970's when he opened his own jewelry store called Paul's Tic Toc Shop. Paul will be greatly missed by his family and friends and particularly by his faithful customers. A Memorial Mass was celebrated at St. Edwards Roman Catholic Church, 2085 Maple Bay Road, Duncan, BC on Saturday, May 19, 2007 at 11:00 a.m. Reverend Father Frank Franz, celebrant.